Democrats have a plan to destroy America’s borders. And they’re working overtime to move it through Congress. Now, Nancy Pelosi is getting ready to open the floodgates for another caravan with one move. 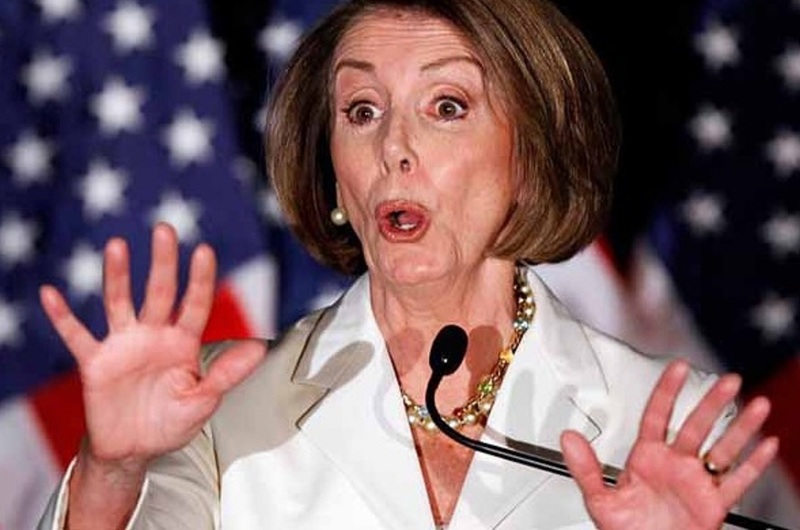 Nancy Pelosi would want nothing more than to humiliate President Trump by blowing a hole wide open in the border with Mexico and allow a tsunami of illegal immigrants to pour into the United States. And now, it seems clear that she’s working to do just that. Democrats have a new, huge ‘open borders’ bill they’re about to push later this year that could lead to a flood of migrant caravans making their way north towards the US border. “Democrats will try over the next few months to pass a bill granting citizenship rights to millions of illegal immigrants, House Majority Leader Steny H. Hoyer told reporters on Tuesday,” reports the Washington Times. If Democrats are able to get an amnesty bill passed though Congress, it could be another huge motivation for yet more illegal immigrants to make the journey north to the US border. And with border security resources already being stretched to their limit, America’s borders are on the verge of being overrun with illegal immigrants. Democrats are now working to overwhelm the system with new migrants, and their legislation will achieve just that. “The legislation would apply to illegal immigrant “Dreamers,” some of whom are already here under the Obama-era administrative deportation amnesty program known as DACA. The legislation would also apply to hundreds of thousands of migrants who are here under Temporary Protected Status, humanitarian protections because their home countries are suffering from natural or man-made disasters,” reports the Washington Times. A full-scale implementation of DACA, combined with amnesty for illegal immigrant “Dreamers” are among the two key crown jewels the left has been pushing for on immigration for years. And if either bill passes, it could spell the end of America’s border enforcement measures. “We’re going to pass DACA and TPS reform at some point in time in the near future,” Congressman Hoyer told reporters. “The bill would grant both Dreamers and TPS holders immediate protections from deportation, with a longer pathway to citizenship should they keep a fairly clean criminal record and pursue education or join the military,” concludes the Washington Times. This legislation could be a critical development in the battle over border security. If Democrats get their way, it would be a decisive victory for the open-borders left, while if the bill goes down in defeat or fails in the US Senate, it could serve to block Pelosi’s agenda moving forward.